This post is so sickening positive that it is going to sound like it's sponsored. But it isn't in the slightest. I bought this shampoo and conditioner in Boots (Mall of the Emirates to be precise!) and from the very first moment I used the combination together, I LOVED it. Phytorhum - the rum smelling shampoo - I have used before and so this was a very happy repurchase. Phytobaume however, I have not. It purports to be for all hair types and manages to provide strength and detangling powers...so for £10 I thought I would give it a try. The lesson I have learned so far? I should always trust Phyto. I don't know if it's the conditioner on it's own - or if its the combination together - but as soon as I used them I noticed a huge difference. And this was as soon as I stepped out of the shower. My hair felt nourished and thick - not coated with that silky silicone that the cheaper (and sometimes not so cheap!) conditioners leave behind. It felt....I suppose the word is healthy! Even better it has continued to dry completely smooth and with natural volume. It doesn't feel weighed down and there are no flyaways. In short, it's bloody marvellous! So yes I would recommend this and all other Phyto products I have talked about before (tablets, shampoo etc...) For a middle-market price you get a really great product and that's something I think we are always happy to hear about. Any hair products inspiring you lately? My Gosh, Laura, that pic is gorgeous and your hair looks perfect! I just bought (but haven't tried yet) a Bed Head shampoo for brunettes in an attempt to make my copper color last longer. We'll see. Other than that, Phyto is excellent indeed! Oooh! 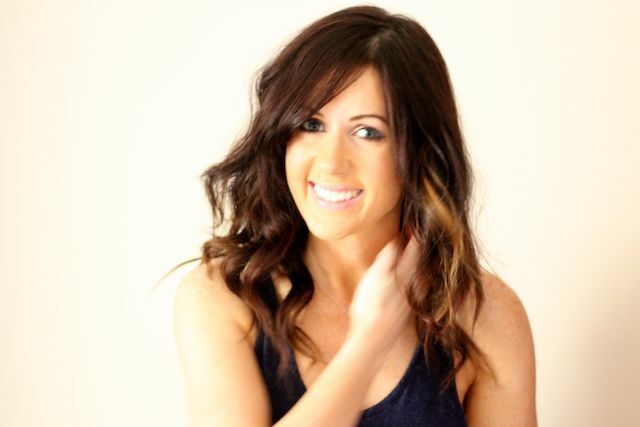 Your hair looks all healthy and "pouffy" (in a good way!) Looking good! My current shampoo/conditioner combo is Redken "All soft" I'm also a fan of Kerastase "Bain de Force" and I like TIGI Headshot "heavenly hydrating" which is really difficult to get hold of these days! @Musing on Beauty - fingers crossed the Bedhead works for you! ;) Thank you! @The Pampered Sparrow - heehee i like pouffy so it's all good :) Gotta try some Phyto although I am not sure you should deviate from Kerastase - hear v. good things! @Flutura - it really does smell like egg nog. Perfect for this time of year! Your hair looks amazing! I love the natural waves. I'm using Bed Head Dumb Blonde shampoo and conditioner at the mo, partly due to the sweet coconuty smell, but also because I feel like this combination really cleans my hair and makes it feel super soft. I'm definitely going to give the Phyto range a try next! @Ina - I really want to use a daily baume - I know they have a few so that's definitely going to be my next purchase! I used a conical wand: it's the easiest thing ever although probably not great for the hair. I blast it all over with a Redken heat protectant. @Pint Sized Confessions - ooh i love coconut anything! Your hair looks great in that photo! I'm currently using a Joico conditioner which I'm running out of. Maybe I'll give this brand a try. i guess i need to run to boots! your hair looks amazingly bouncy and soft! Your hair looks gorgeous and so healthy! I have some phyto samples from Sephora - I think I'll give them a try and see if they work for me. couldn't agree more! wonderful products! (PS....What gets rid of crows feet apart from Botox.... Because Nanoblur is good.... but it's only temporary). Liking the sound of this to tame my frizzy hair! i've never tried phyto cause i've never seen it here in Italy but as soon as i see it i'm gonna try it!! your hair looks really better in this pictures, shiny and healthier, wow! Love the curls. Something very sweet about the style. Do you condition your whole head or just the ends? Or does it depend on the conditioner? @Ella Pretty Blog - ah samples! you lucky thing. Definitely give them a try! Will make a note of Burts Bees for future experimentation purposes :) Thanks! @Jennifer Belle - happy to see another Phyto lover! Your hair looks absolutely beautiful Laura!!! I love it curled like this and the shampoo and conditioner sound amaaaaazing! Definitely something I need to check out!!! I'm loving Phyto. I use both Shampoo but the one for irritated scalp and conditioner and my never been healthier! i also love this shampoo, but have not tried the conditioner, but now i think i'm going to have to pick it up. your hair is looking amazing. love the waves. Firstly, how beautiful do you look in that photo?! I really hope I end up looking as good as you in the years to come! Seconly, this sounds fantastic and I must try, so thankyou :). Aveda!! i am very much impressed by their products. I have tried Phyto and i like them as well, but it is much more expensive for what you get, and it doesn't go as far. Lately,I´m in loooooove with argan oil, which makes my hair looks healthier and shinier. My favourite shampooing by far is Shampooing Blond Lumière by Dessange. Great stuff. I cut my hair last week to rid some of the heat damage. This shampoo and conditioner sound like just what what my hair needs right now. Must buy asap! Laura, Have you tried Moroccanoil? You're hair looks gorgeous! I've tried so many shampoos and conditioners it's amazing I haven't found the perfect ones, but I'm still looking... Maybe I'll give these a try? You have such a nice smile, Laura! Sounds amazing! Will have a look around Boots to see if they have it here (Norway). Your hair looks great! :) Have not made any new hair finds lately, but have loving to wear my hair up. To be excact the tutorial of Wendys Lookbook on YT :) She is so sweet! Got to say, I'm really pleased you posted this. I need a new shampoo and my hair has been nothing but flat recently. Thank you! You look beautiful in that pic! I'll have to see if I can buy this online. My hair has become a mess, and in need of some TLC. I used Phytorhum and tried a few other of the phyto products after seeing one of your videos. I used them in conjunction with morrocon oil. Was really pleased with the results and recall the main reason I broke the routine was cos I couldn't get the phyto products easily. Rate morrocon oil highly and planning to get myself some more soon. I actually purchased this exact shampoo and a phytobaume for dry hair on Monday! I hope I'll get great results too! I assume it keeps your colour well and doesn't fade it? Your colour looked lovely, Laura so I assume it passes the test on that front. Will definitely give this a try if so. 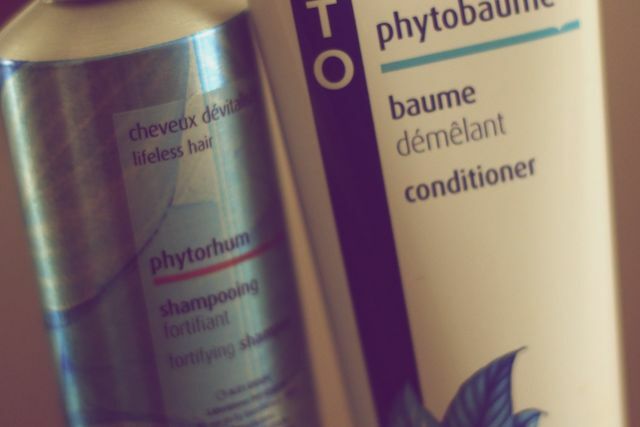 I tried the Phyto shampoo for sensitive scalp a year ago, but the scent is horrible. It smells like cheap mens cologne. Don't want my hair smelling like that. I prefer joico and redken at the moment. ive just invested in a babyliss waving wand which i LOVE! natural waves instead of curls which is exactly what i wanted but im still searching for the perfect shampoo and conditioner for coloured hair! any suggestions? I've had my eye on the tablets for some time now. Did you have any issue with breakouts while taking them? I'm not necessarily acne-prone, but I do get a spot here and there.